I love to read my Bible everyday, but when I first got started it felt intimidating. There are so many names, so many stories, and just so much information that I had a hard time keeping it all together in my head. I often asked myself how one book related to another, and who wrote what, and when did this all occur? 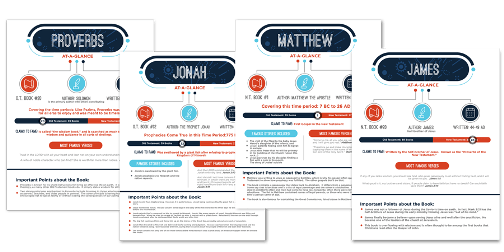 For this review we got to check out the Books of the Bible At-a-Glance printable sheets from Teach Sunday School. I wish I had had these when I first started my Bible reading journey, they would have made things so much easier! There is one page for each book of the Bible, organized by order. So once you print them you can just put them in a binder and flip through it as you read your Bible. 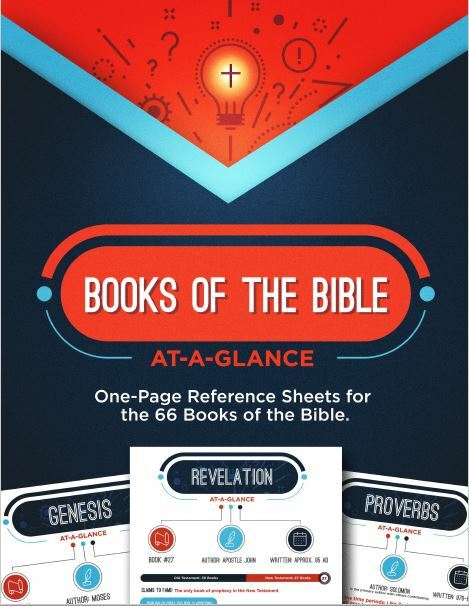 This makes it easy to find the pages you need whether you are reading the Bible in order or studying a particular book. Each sheet features several categories helping to give you a full picture of that book at a glance! Some of the information included tells you who authored the book and a general date of when it was written. If there is debate about that time frame, they include a note. In addition (and this feature I really liked) for the Old Testament books they tell you about what period in history the book covers! This is a nice feature since sometimes the prophets were talking about recent events (like when Moses wrote Exodus) but at other times they were writing about events that would take place in the future. This is also helpful if you are reading a story set in Biblical times (say God King: A Story in the Days of King Hezekiah) because you can then match it up to the book when the story takes place! For the New Testament, they tell you what major issues the book was addressing at the time. You also get tons of other information like a summary of the major stories included in each book, what makes the book stand out (Claims to Fame), famous verses, and other important points like which chapter you would look at to find a particular item. For me personally, these sheets were like very thorough bite-sized introductions to each book of the Bible. We used these sheets to preview whatever book my son happened to be reading (he is currently interning at our church with our children’s pastor and daily reading and journaling is one of his tasks). I think these would be particularly great for someone who is new to Bible reading because they help to make things less overwhelming. After reading the sheet for each book you get a general idea of what to expect as you read. You could also use these in so many ways, like to play games in a co-op situation. You could easily have kids do a “scavenger hunt” using the sheets, assigning them to find the book that talks about “X” or find the book that took place from “here-to-here” or find the book authored by “this person”. You could also print them out and hang them in your homeschool space so your kids have a reminder of what book they are reading and what takes place there. One of my favorite things about the fall season is all the vegetables! While it’s still 90 degrees outside, I love to peruse the fresh produce aisles at the grocery store and check out the new options. This week there was a sale on acorn squash. I’ve already shared my recipe for stuffed squash, but this week I decided to make the squash as a side dish. 2. Wash the squash and use a sharp knife to chop the squash in half. Scoop out the seeds. 3. Rub the inside of the squash with olive oil. 4. Season the squash with the salt, pepper, garlic powder and Italian seasoning. 5. Bake for about 20 minutes with the flesh side up, until sauce begins to soften. 6. Divide the heavy cream between the two halves of the squash and top with the Parmesan cheese. 7. Bake for an additional 10-15 minutes until the cheese melts and the cream is absorbed and the flesh pricks easily with a fork. That’s it, enjoy! Thanks for stopping by! 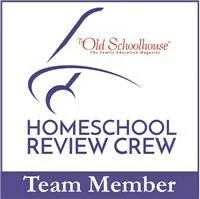 So we are in my son’s senior year of high school and he has already begun some of his online classes to pursue his children’s ministry degree. As he begins his college education I realize the need for him to really be able to speak, debate, and write thoughtfully to present his thoughts and beliefs. This is one of the reasons I think it is very important to include Rhetoric as one of his subjects this year. 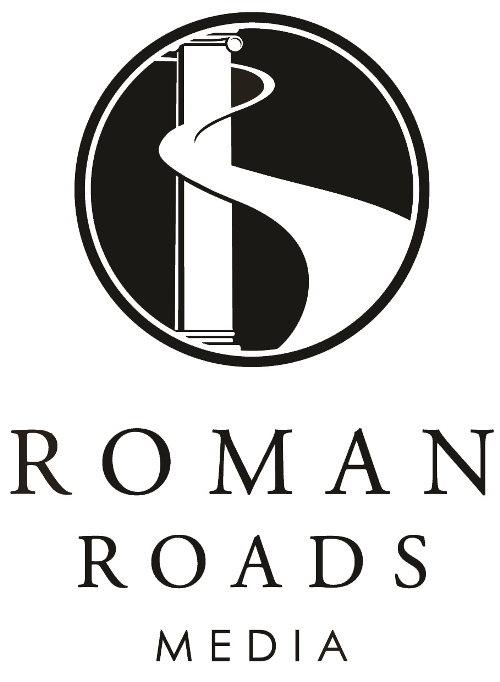 I was so so excited to find out I was going to get to review Fitting Words Classical Rhetoric (Complete Program) from Roman Roads Media. When I first started checking this out I thought “wow, this looks really good” and when I got into it, I can tell you, I wasn’t disappointed. For starters, when they say this is a “complete program”, they aren’t kidding. It really comes with every single thing you need in one package. From the textbook, to the student workbook, to the exams, complete answer key and even (yes!) video lessons, it’s all here. Of course, you can pick and choose how much you want to use because as the parent, you are always in charge, but everything is right here, and it’s all put together so well that it is really easy to use. Parents should begin by reading the introduction which explains each component and gives a very convenient schedule for either a one year or two year course. I am one of those moms who always appreciates a schedule. Yes, I will probably tweak this to suit our particular needs, but for me a schedule is a great starting point because it gives me some idea of how to break down the material. Since we are in my son’s senior year we decided to follow the one-year schedule, but if we had gotten this earlier I probably would have done this course over two years to give us more time to dive into some of the further suggested readings and other things. The video lessons that accompany the course are broken into two parts for each lesson, one that goes over the main lesson and one that takes students through the exercises for those lessons. Now, my son is not a great video learner. However, he did like watching the application videos a lot. Mainly because he liked how Mr. Nance (the author) explained the exercises and he said the videos helped him to better understand the figures of speech introduced in each lesson. He also watched the videos that reviewed the lessons before he took his exams. So, I allowed him to choose which videos to watch and he utilized them in the way that suited him best. I liked the way they were set up, because they were not incredibly long and the menu made it easy for him to find the videos that matched the lessons he was on. Okay, so getting into the program, can I just say that I really kind of got into this myself and did a lot of pre-reading ahead of my son? The lessons in this book are meaty, and actually really interesting. If you think rhetoric is a dry topic, it’s not. At least not the way it’s presented in Fitting Words. The textbook consists of 30 lessons divided into seven units that cover topics ranging from types of arguments, to emotions, to delivery and so much more. Along the way your children will read Bible passages, excerpts from Phaedrus, and all kinds of speeches and other examples that will help them bring to life the things they are learning. In the workbook, they will learn to apply what they are learning through activities that ask them to read Bible passages and identify the emotions of the speakers in those passages, look at historical documents and explain the methods the authors used in writing those documents, identify figures of speech in well-known writings, and have opportunities to give speeches of their own for specific purposes such as soliciting specific emotions from their audience, give a speech appropriate for a ceremony, and more. Each chapter approaches it’s topic directly and explains it in detail with plenty of examples. The chapters themselves are pretty short (a big plus for my son!) with sidebars that highlight key concepts and ideas. At the end of the chapter there are questions you can use for discussion that encourage students to think more deeply about what they just read, suggestions for further reading, and a short memorization exercise. In addition, students will complete the related assignments in the workbook for their lessons. The thing is, even though the information itself is meaty, my son did NOT feel like he was overloaded with work to the point that he dreaded this subject and that is really the key to success for me at this point. Because if I have to fight with him to get him to do it, chances are, it probably isn’t going to get done. That is another reason I really like this course. He’s learning a lot, but he doesn’t feel like he’s being slammed with work! You can always dig further with the additional suggested readings, and if we were using this as a two-year program I probably would, but since we only have a year, we are going easy on that, only reading those particular ones my son is really interested in. In the appendix you will find a full glossary, the full text of historical speeches featured in the text and a listing of Biblical speeches featured as well. This was very handy for my son to use as a reference for assignments.